First of all, just in case you haven’t noticed, this is the first post since ages that is not a quickly written apology for a badly done Scrap Sunday post. (Don’t worry, there will be another one tomorrow). No, today I wanted to update you on one of my many projects I am currently working on (really been working on not just making plans). 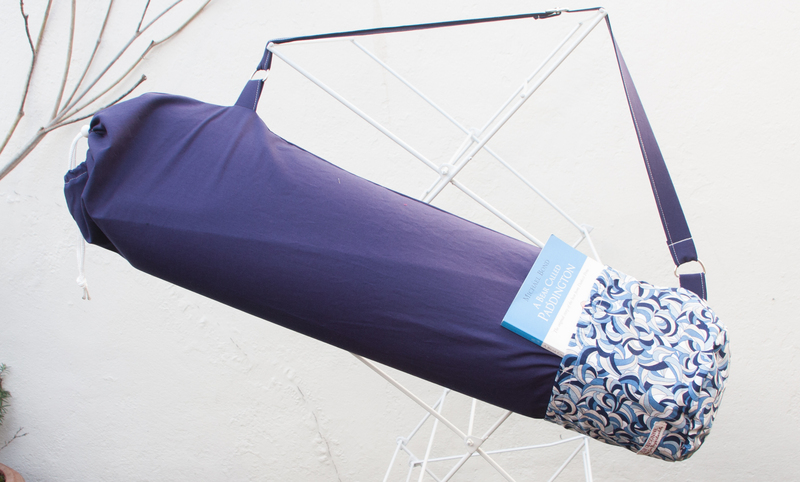 Yogastueble’s Ludwig and I thought we should offer a cheaper alternative, meaning for me, one that does not take 4 -6 hours to make. 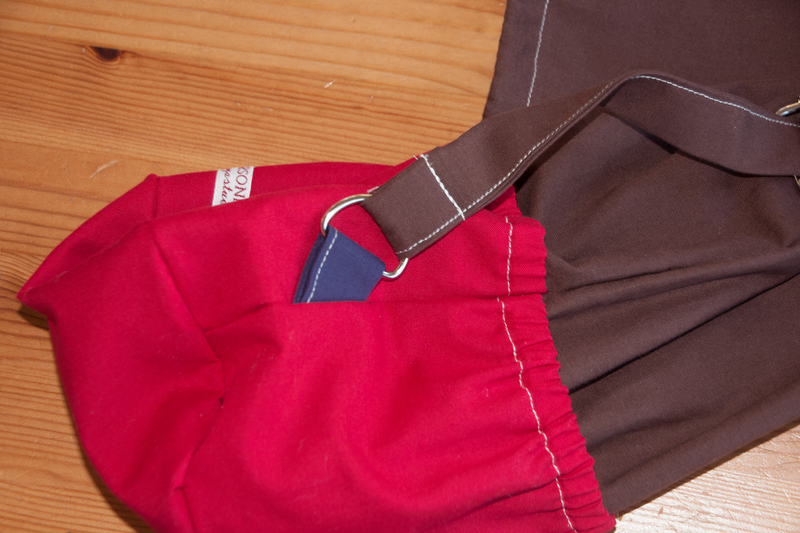 So I have set to work, threw the zips out of the window (trust me, that strolling cat passing under the window did not look happy – I guess he is not into crafts) and half of the round sides of the initial Yoga bag deluxe model and came up with a simpler drawstring version. The contrasting fabric at the bottom is actually a pocket which goes around the whole bag and is divided into three compartments. There is an elastic band on top which keeps the pocket closed when the bag is fully packet. 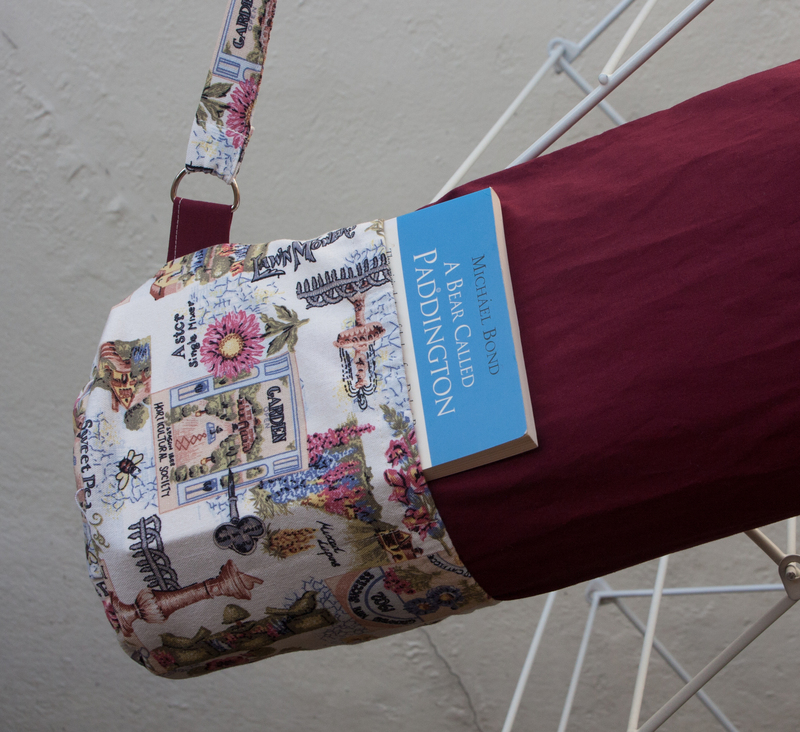 As I am making every bag individually, I often develop the design during the making process, so there aren’t any strict rules (apart from the size I guess)… sometimes I am using the main colour for the strap, sometimes it is made of the pocket fabric (pretty, no?) That is what I really like about being a small business. Whatever I have made so far, no two things have ever been alike. I have also been asked to make a few for men with “dark colours, simple not too much patterned stuff going on”…. that was a tricky one for me. If not impossible. 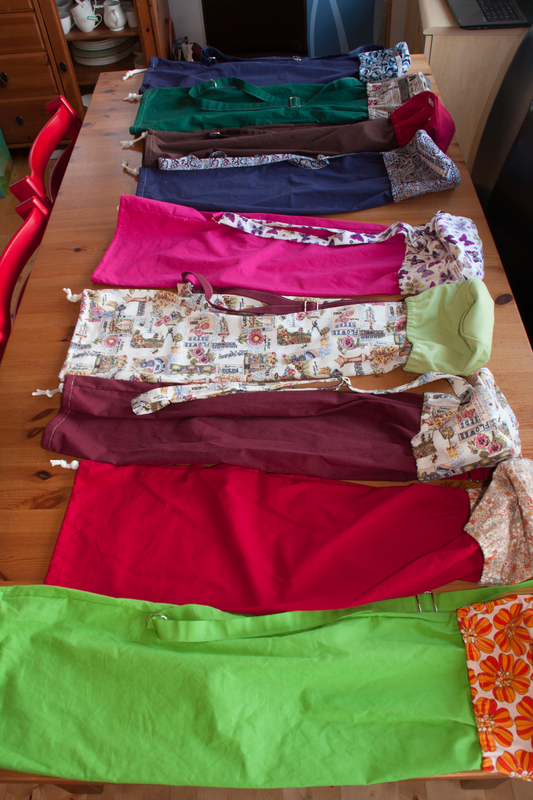 But surely, I can not make the pocket in the same colour as the main bag. The pocket would not be seen, would it. And which thread to use? I don’t have any in the exact matching colour, so lets just take a very contrasting one instead. Hmm, that looks good. Dark (mostly) and plain colours. Oops, where did that blue piece come from? Someone must have broken in at night and changed it. Oh well, I really tried my best. Oh, and the best news? I have started to go to yoga classes. To sort out my back problems I am getting from bad posture at the sewing machine. But knitting and yoga! I will be the most relaxed and patient person! I can feel it already. Have a lovely Saturday (Valentine if it is for you) and talk to you tomorrow. Ommmmm. 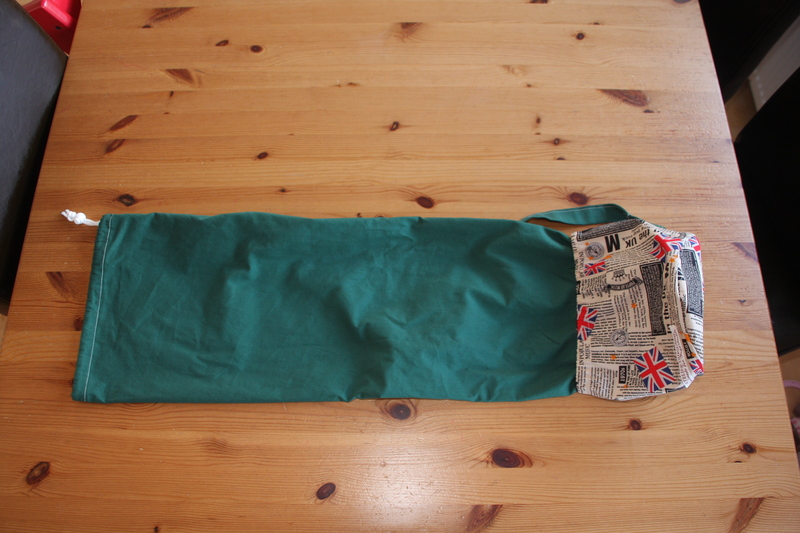 This entry was posted in sewing and tagged business, sewing, yoga bag 2.0 by atelieroursonne. Bookmark the permalink. Hallo Ursula, ich freue mich schon immer auf deine Nachricht. Obwohl ich nicht alles mit meinem Englisch verstehe, sagen die Fotos sehr viel aus ! Die neuen Jogataschen schauen toll aus, auch die Farbgestaltung finde ich super. Ich freue mich schon wieder auf nächstes Wochenende um deinen Bericht zu lesen (bzw. die Bilder anzuschauen).